DALIAN, March 5, 2015 - Newly-born harbor seal calves are seen at Sunasia Ocean World in Dalian, northeast China's Liaoning Province, March 5, 2015. 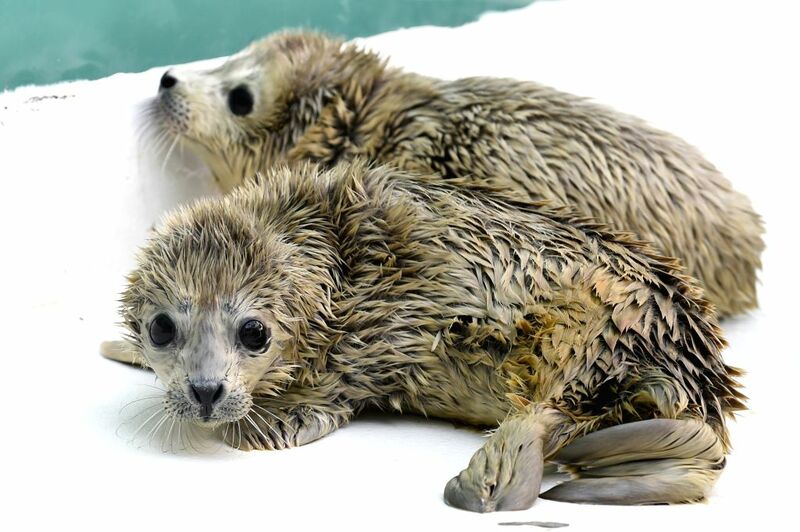 A harbor seal gave birth to twins on Wednesday morning, weighing 8.8 and 8.2 kilograms respectively. The elder calf was left to its mother and the younger one had to be sent to feeders for artificial breeding.